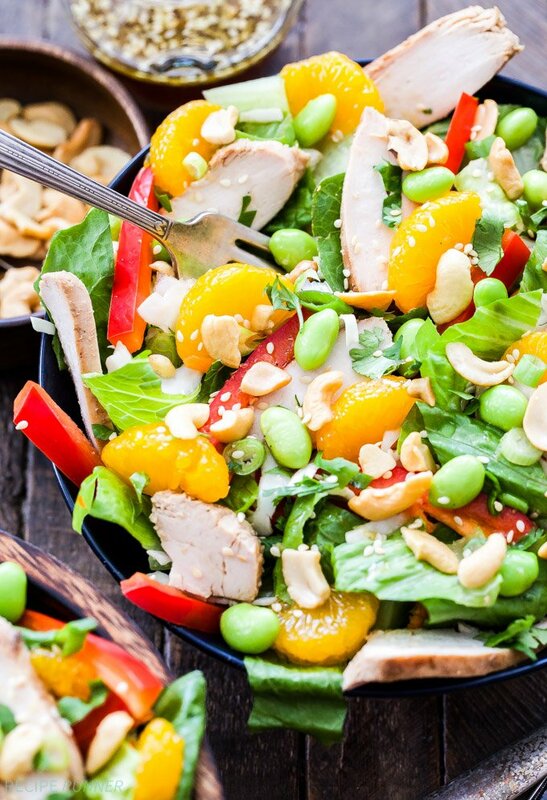 Asian Sesame Chicken and Cashew Salad. 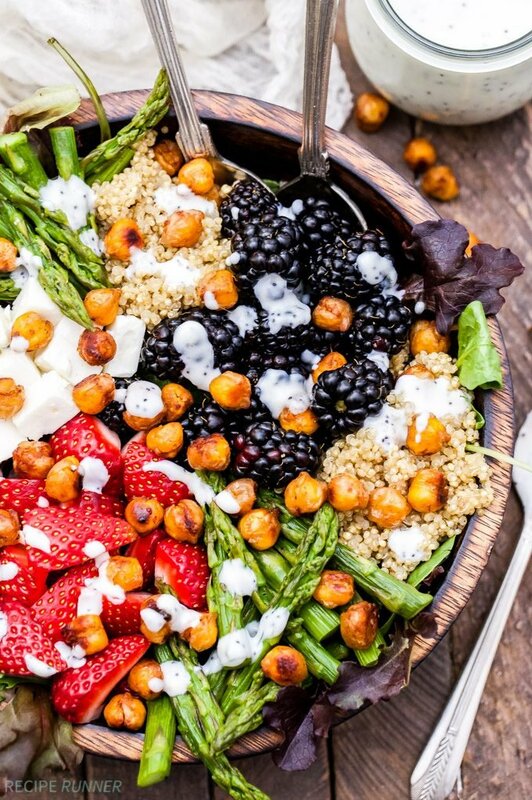 A filling and main dish salad full of healthy ingredients! 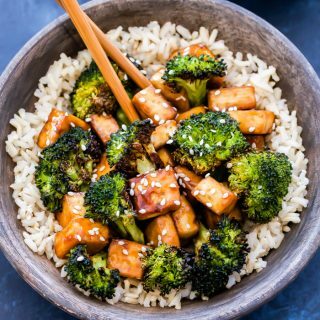 Top this crunchy salad with a sweet sesame honey vinaigrette for maximum flavor! Happy Monday! I had such a great weekend planned and then thanks to a callus/bunion/corn thing I’ve got going on on my foot it turned into a somewhat miserable weekend. I hate when stuff like this happens when you actually have fun things planned. So this stupid growth, which my husband informed me looks like a bowling ball, is right on the inside of my foot and my shoe presses directly into it and makes me want to scream. I’m pretty sure I made it even more angry running trails on Saturday. Unsteady ground, feet rolling inwards, it was a bad combo and I felt like death when I finished. I had plans to meet a blogger friend, Liz, from The Lemon Bowl while she was doing a travel piece in Denver. However, I had to cancel because walking was not in the books considering putting my shoe on about made me cry. Nice timing foot. My husband and I also had reservations for dinner at El Five. We’ve been wanting to try it out all summer. It’s one of chef Justin Cucci’s five Denver restaurants, our favorite being Linger. Yeah, that didn’t happen. I actually wanted to enjoy myself and that was not happening Saturday night. Instead, we did go to our favorite place for wine, Carboy Winery. A couple glasses of wine did wonders for making the pain temporarily disappear, of course it came back full force later that night. Sunday I started to feel some relief and I’m hoping the worst of this is over. Stupid runner’s feet, they just get more and more “beautiful” by the day! Ok, I’m done complaining about my foot. 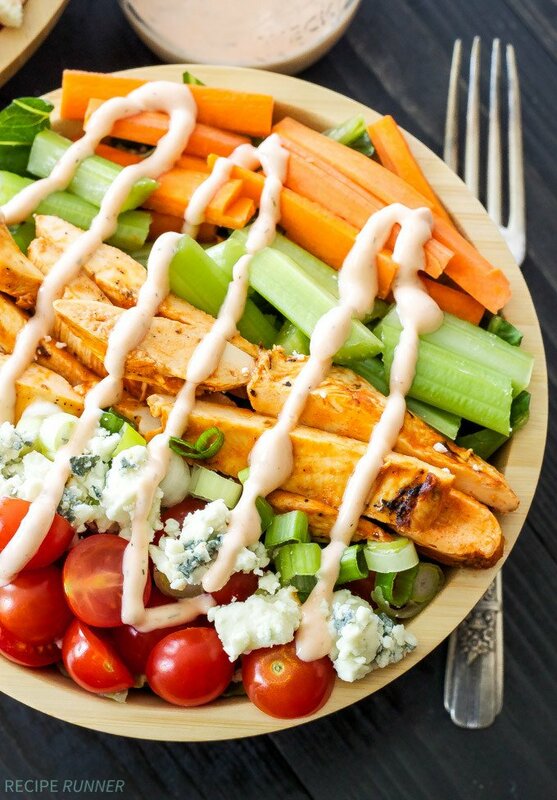 Let’s talk about this delicious, main dish salad that should definitely be on your dinner menu this week. 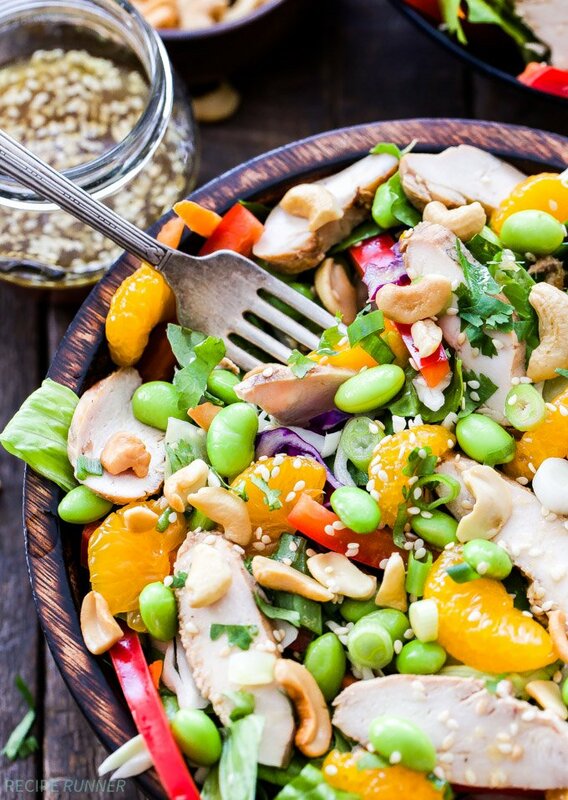 Asian Sesame Chicken and Cashew Salad, a salad I could eat on a weekly basis! 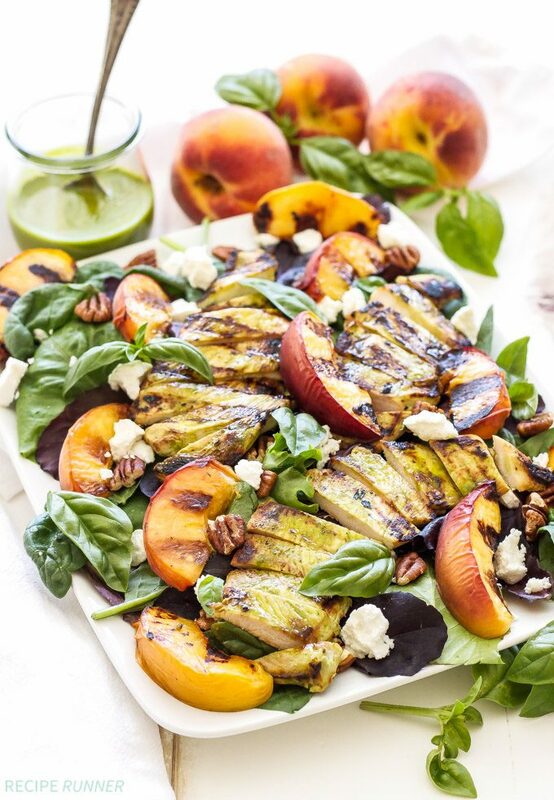 There’s nothing boring about the flavor and texture going on in this salad. 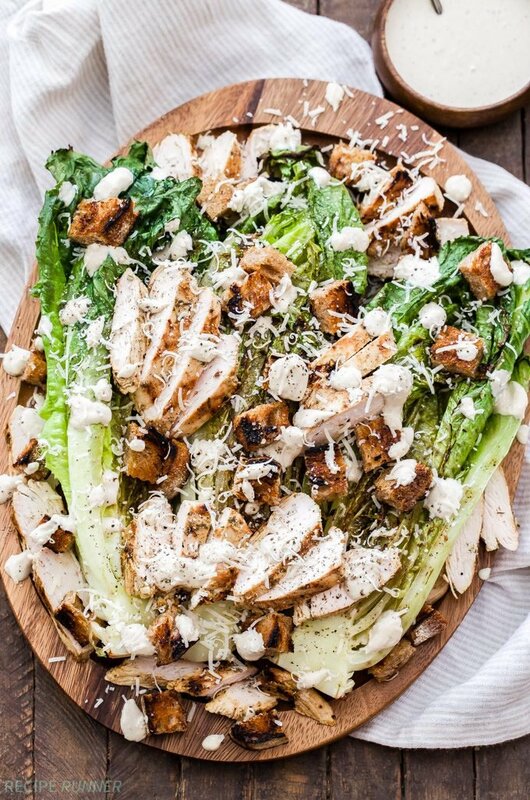 The base is a combination of romaine and coleslaw mix. 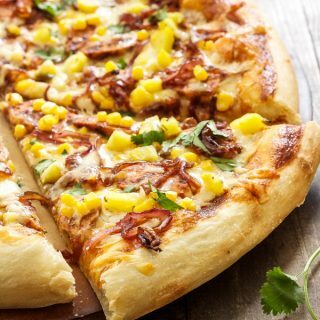 Then, it’s all about the toppings and there are lots of them. 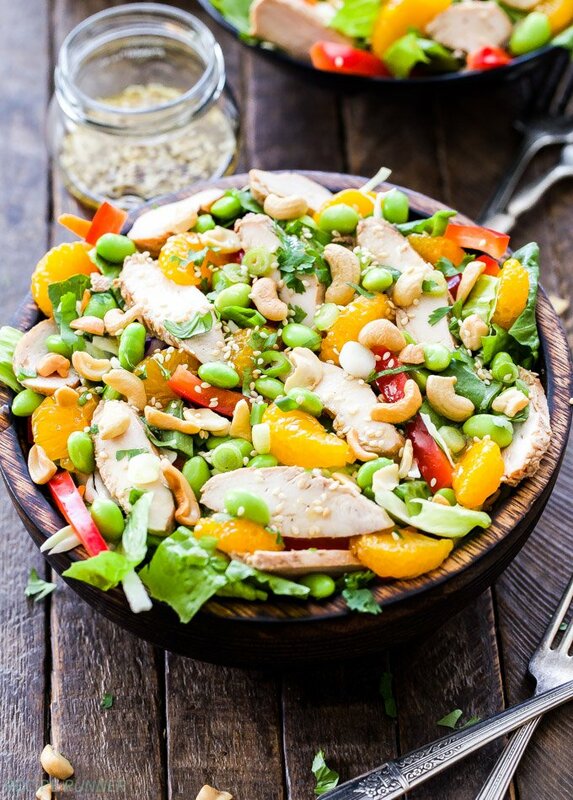 Slices of marinated chicken breasts, red bell peppers, shelled edamame, mandarin oranges, green onion, cilantro, roasted cashews, toasted sesame seeds and a fabulous Asian sesame vinaigrette! 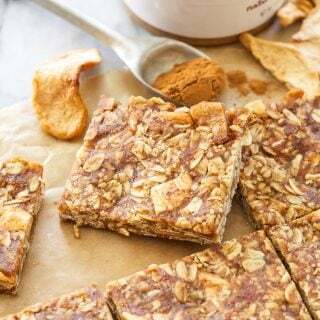 All the crunch and flavors will have you stuffing your mouth and forgetting all about that boring salad you had last week. Enjoy! Combine all of the ingredients for the chicken marinade in a resealable freezer bag and add in the chicken. Marinate for an hour or longer if desired. Grill or bake the chicken until it's cooked through, let it rest 5 minutes, then cut into thin slices. In a jar or bowl, whisk together all of the ingredients for the vinaigrette and set aside. In a large serving bowl toss together the lettuce, coleslaw mix, pepper, carrot, green onion, edamame and cilantro. 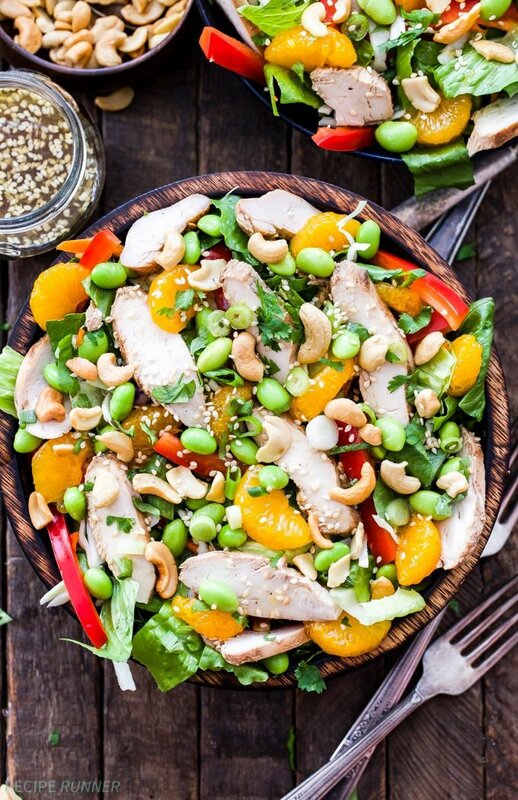 Top the salad with the mandarin oranges, slices of chicken, cashews and sesame seed. Dress the salad with the vinaigrette or serve on the side. 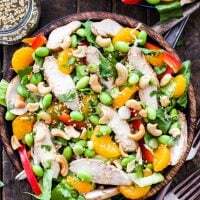 If you're making this salad ahead of time wait to add the mandarin oranges, cashews and vinaigrette until right before serving to prevent the salad and cashews from getting soggy.